Step 1 - A relay is used to control (switch) a high amperage electrical circuit with a low amperage one, for example a radiator fan can pull up to 25 amps when in use, which would burn the computer circuit that controls it, a relay is used to bridge this circuit to prevent electrical damage. Step 5 - Next, remove the relay for inspection, grasp the relay and pull outward while slightly wiggling the relay housing, note the orientation of the relay, it must be installed the correct direction. Step 6 - Once the relay has been removed, inspect the relay terminals for signs of extreme heat or corrosion. 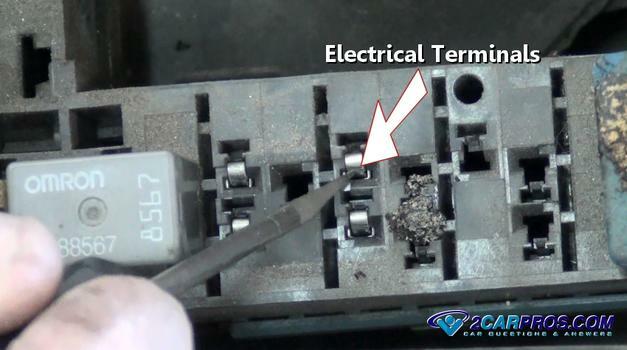 Step 7 - The relay is mounted in four electrical terminals housed in plastic and when overheated (due to overload or resistance caused by a poor connection) can distort and melt. Step 8 - Use as small metal scribe or tool to scrape clean any corrosion to ensure a good connection once the new relay is installed. 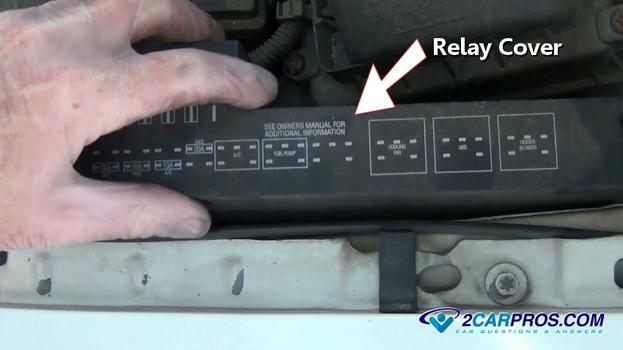 Step 9 - Most relay's describe the internal circuit by an illustration on the side of the relay. Terminals 86 and 85 are the primary side of the relay, which utilizes an electromagnet to close (connect) the secondary electrical circuit inside the relay. This electromagnet is activated by a simple power (+) and ground (-) much like a light bulb circuit. 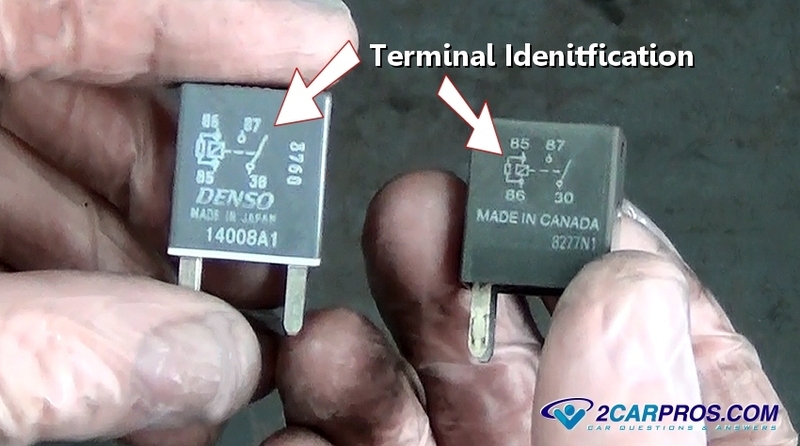 Terminals 87 and 30 are the secondary side of the relay which acts as the "switch" that connects electrical current from one terminal to the other. 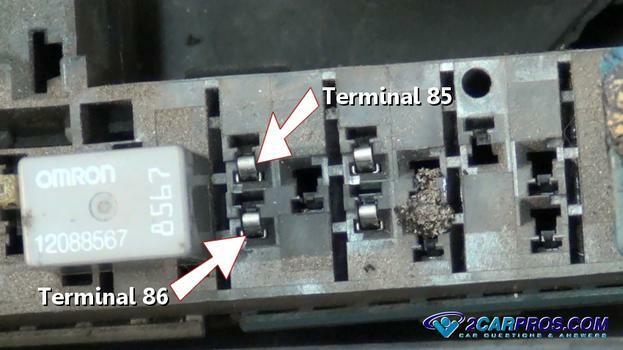 Terminal 87a is not widely used and does not need to be connected for the relay to operate. 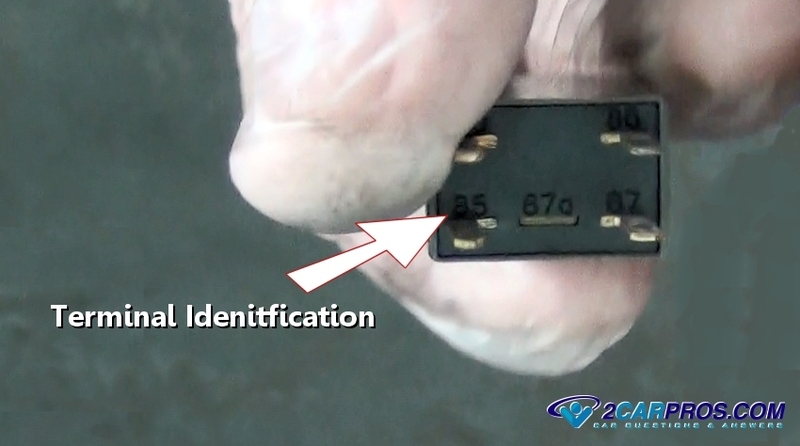 87a can be used for many different things such as relay activation monitoring or connecting a separate circuit that uses power when the relay is not in use. 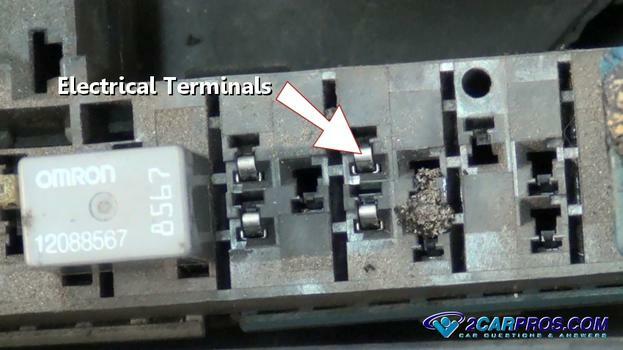 Step 10 - Each terminal is identified at the relay base. 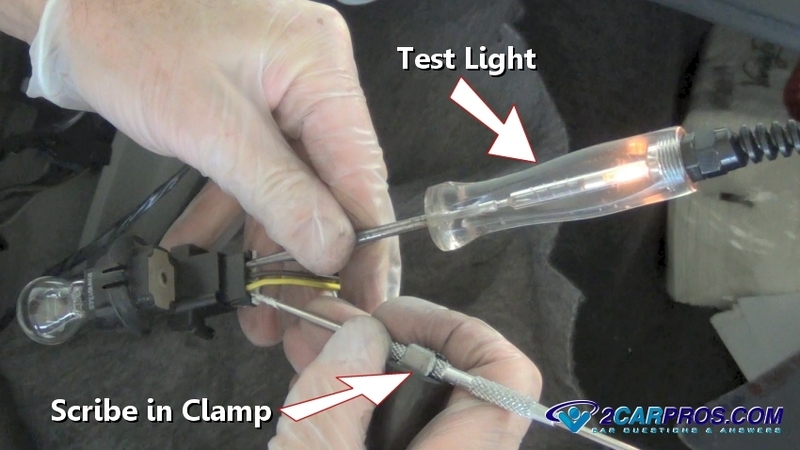 Step 11 - To test the trigger or primary side of the relay set up a test light by connecting a scribe to a test light clamp, being illustrated in the picture below while testing the tail light socket. Step 12 - Once the test light is set up connect each end to terminals 86 and 85. Now start the vehicle and operate the accessory switch, the test light should illuminate, if not the switch or circuit ground has shorted. ( Note: if the circuit is computer controlled a delay could be programmed into the operation of the accessory, additionally if a cooling fan is being tested the engine must reach operating temperature before the computer will trigger the circuit.) Use the test light grounded to check for power, and then switch the test light lead to the power side of the battery to check for circuit ground. Step 13 - Next, use a piece of wire automotive wire (20 to 16 gauge) and strip both ends exposing the copper wire. Turn the ignition to the "ON" position and jump terminals 87 and 30 the relay is now jumped and the accessory should activate, if so the relay has failed. 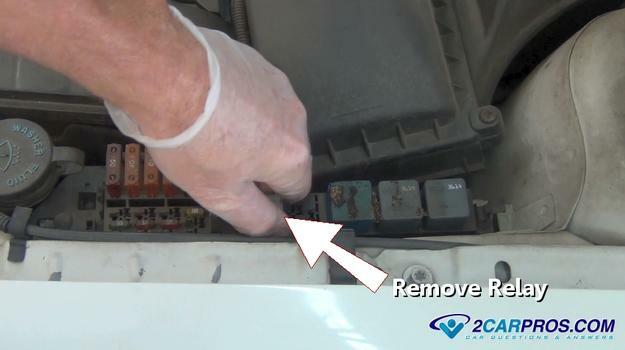 If no power is observed at either 87 or 30, the fusible link or maxi fuse has shorted. Example: Testing the radiator cooling fan relay, the cooling fan should be operating. Step 14 - When replacing a relay be sure to match up the terminal location from the old relay to to the new unit. 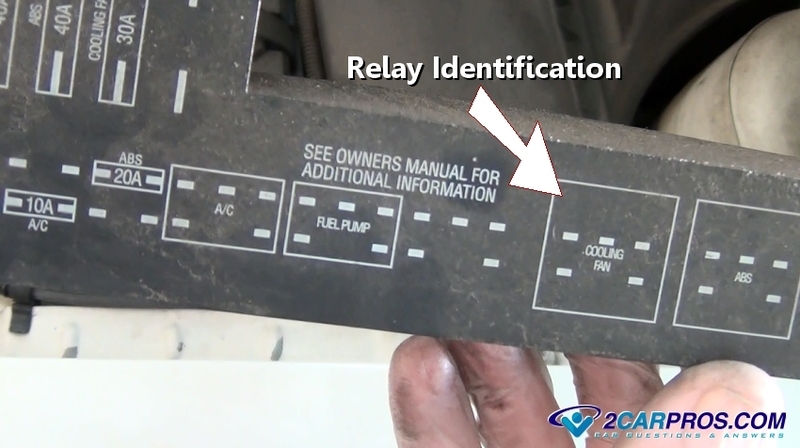 Step 15 - When installing the new relay be sure the orientation is correct or the relay will not work. Step 16 - Once proper relay operation has resumed, reinstall the relay (PDC) cover. When a particular two wire accessory is not operating, use a grounded test light to check for power at the wiring harness (either wire). If there is no power, the electrical system must be tested starting with the fuse then the relay. If power is present use the test light connected to battery power to check the ground circuit. if these tests check out, the accessory is bad and needs to be replaced. Some relay's can differ from this configuration but follow the same principle. 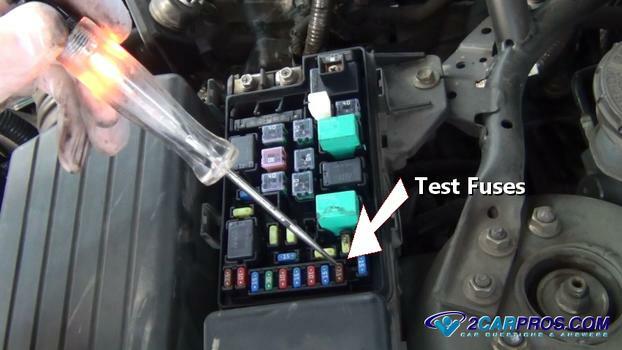 To confirm the wiring configuration consult a wiring diagram from Google Images or a service manual. Step 1 - To test for intermitted relay failures which are common, remove the relay in question, take a small wire strand, about two inches long and insert it into the relay connector terminal 87 or 30. Step 2 - Next, reinstall the relay while keeping the wire strand inserted and clear of any other terminals or metal (ground). Step 4 - Temporarily mount the small bulb in a visible area to be seen while driving, masking taped to the hood or dash works well. Step 5 - This test can be used to test all aspects of the wiring circuitry by moving the bulb ground to power. The bulb will now illuminate when the relay is use, and will go out to signal a failure. A relay is switch that utilizes an electrical trigger signal to activate. Once activated the relay connects an electrical supply to a particular accessory. These accessories can range from the main computer PCM (powertrian control module), radiator fan, fuel pump, door locks etc. There are two tests that should be considered when dealing with a relay problem, is the problem with the relay itself or is the problem a power or ground issue. 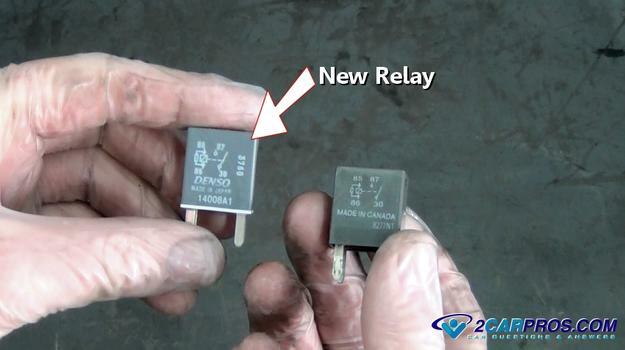 A relay is prone to failure when used for a long periods of time (hot) or when the amperage of the accessory has increased beyond its designed use. A rely should be considered as two separate halves, the primary side which utilizes an electromagnet to close the secondary electrical circuit. This electromagnet is activated by a simple power (+) and ground (-) much like a light bulb circuit. 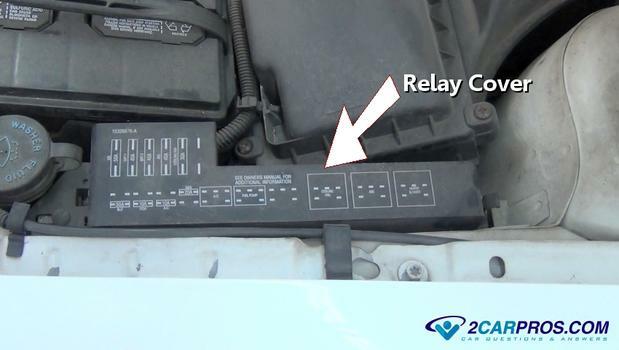 The second half of the relay is the "switch" that controls power to a particular accessory like a fuel pump or ignition system. In short, when the primary side of the relay (electromagnet) is activated, it closes the contacts (switch) to supply power to operate the accessory. 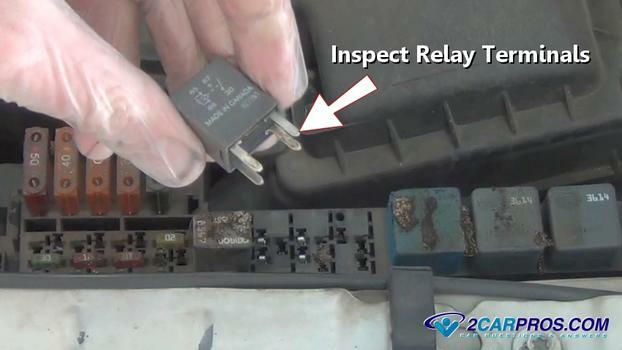 When a relay warm up as in normal operation, the electrical contacts inside the relay can short circuit causing the electrical flow to stop, when the relay contacts cool it will resume the flow of electricity. When excessive amperage has been drawn through a relay circuit it can cause the relay contacts to "stick" not allowing the power to be shut off to the accessory. Example: When an ABS system motor ages it will draw excessive amperage causing the control relay to "stick". This condition will run down the battery until corrected. 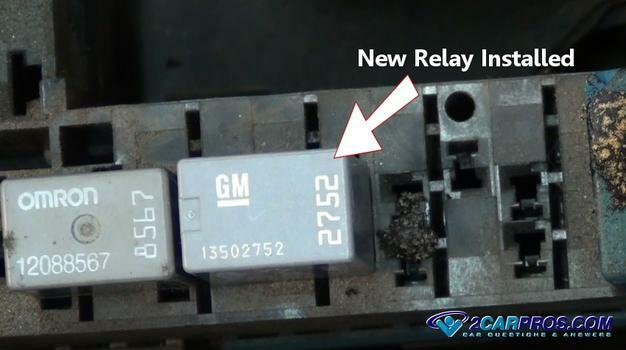 Moister can get inside a relay hindering the relay operation. 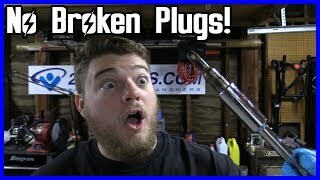 When testing relay circuits for power, ground is accidentally contacted causing the fuse to fail.